A new president will be moving into the White House next year. Does it matter who it is? The U.S. president is often called the “leader of free world.” But if you ask an economist or a Constitutional scholar how much the occupant of the Oval Office matters, they won’t say much. We look at what the data have to say about measuring leadership, and its impact on the economy and the country. Today we’re playing you the equivalent of a podcast antique. It’s the 11th episode we ever made, and it goes back to 2010. So why bother replaying it today? Because the topic is about as timely as it gets. This episode is called “How Much Does the President Really Matter?” Because, as you’ll hear, it is very easy to think that if the candidate you support gets in, then everything will be awesome; and that if the candidate you despise gets in, you’ll have to move to Canada. But it’s hard to find actual evidence that President affects your life anywhere near as much as people generally think. So, we dial up the wayback machine and present: “How Much Does the President Really Matter?” If you also want to hear some less-antique-y sounding me, feel free to check out a couple other podcasts I co-host: “Question of the Day” with my buddy James Altucher and “Footy for Two,” with my soccer fanatic son Solomon Dubner. I’ve got a question for you. But you’re not going to like it. Most people, if you ask them this question, their heads explode. They sputter, they swear, they tell you you’re a moron for even thinking this question, much less asking it. But let’s ask it anyway. Here goes: how much does the President of the United States really matter? I mean, we know the rhetoric — the President is the “Leader of the Free World,” the “Most Powerful Human Being on the Face of the Earth.” But let’s back off from the rhetoric, try to break it down. Let me introduce you to some people whose heads don’t explode when we ask the question. People who take the question seriously. We’ll start with what gamblers and stock markets have to say about the power of the Oval Office. Then we’ll visit a baseball manager, and then a baseball scholar, to look for parallels between the American pastime and the American Presidency. And finally we talk about the actual job, and whether the President is more like a puppetmaster — pulling every string that makes us dance — or the Wizard of Oz, the symbol of power. We’ll start with an economist who’s also fixated on American politics, even though he’s an Australian. JUSTIN WOLFERS: Justin Wolfers, I’m an associate professor of business and public policy at the Wharton School, and this year I’m a visiting scholar at the Brookings Institution. STEPHEN J. DUBNER: Justin, you’re a betting man, yes? DUBNER: And you come from a country, Australia, where betting is not frowned upon so much as it is in this country, yes? WOLFERS: We’ll bet on two flies crawling up a wall. DUBNER: When two flies are crawling up a wall, how do you personally pick your favorite? WOLFERS: Oh, I go for the one in the lead. DUBNER: Tell me about betting on the outcome of a presidential election or an election similar. What’s the most you’ve ever bet? What’s the most you’ve ever won or lost? WOLFERS: I think betting — the legal status of betting on U.S. presidential elections is actually quite unclear, so I’d be rather foolish going on the radio saying I’d ever won or lost a large amount of money. DUBNER: I was giving you the fig leaf of pretending that you were voting on an Australia election. WOLFERS: Oh betting on Australian elections. I did do that. I won a couple hundred dollars when Paul Keating became Prime Minister back in, I think it was 1993. He won what was called the unwinnable election, and I was about the only person in Australia to say that he would win that anyway. So I won a few hundred dollars. DUBNER: You pay a lot of attention to what are called prediction markets where people can lay bets on everything from sporting events to natural disasters to political elections. Explain how they work and what they can tell us about the Presidency. WOLFERS: So you can actually go to fairly sophisticated websites. My favorite is Intrade.com where there’s a large amount of trading about what’s going to happen on the next U.S. election. And the brilliant thing about it is there are so many clever people out there who want to win money that all these clever people are betting in this market. And so therefore the price is getting moved around by their information, and so the price ends up reflecting the wisdom of crowds. And so all of these different sources of information from formal models to water cooler conversations end up getting reflected in how people bet. So therefore they end up getting aggregated into this market price. One of the things we can do is we can look at how each candidate in each presidential election was doing in the political prediction markets. And so therefore we know which candidates were a really big surprise that no one expected it to happen. And if you’re a candidate where no one expected you to win, and then you win, if people think that’s going to have a big effect on the economy, then at the same time we should see stock prices move — either up if they think you’re good for the economy or down if they think you’re bad for the economy. And so what we’re actually able to do is take this historic data from back in 1880 through to the present for every election. We’re able to say how surprising was it that this candidate won, and how much did financial markets move as a result. And from that get some sense of just how important it is that we elect one candidate rather than the other. DUBNER: So really what we’re here to talk about today is a much broader and, I think, really hard question. So let me just ask it to you straight. The question we’re asking is this: how much does the president of the United States really matter? WOLFERS: That’s a really hard question to answer. So we could just look in data and see whether the economy went well under certain presidents and poorly under others. But we’ve actually had so few presidents it’s going to be pretty uninformative and the truth is, it could be reverse causation. People tend to vote Democrat when they’re worried about unemployment, and they tend to vote Republican when they’re worried about the budget or when they’re worried about inflation. So sorting this out is very difficult. A different thing we could do is try and think about the different ways in which the president affects the economy. Well, the president affects fiscal policy, but over the past century, the truth is we haven’t used fiscal policy particularly aggressively. Even then when we try to see how important was the stimulus, for instance, we don’t know what would happen without the stimulus. It makes it again incredibly difficult. DUBNER: All right now you studied the 2004 election between George W. Bush and John Kerry and its effect on the markets, what did you learn from that? WOLFERS: 2004 was a social scientist’s dream. So, the thing is, if you want to try and study the effects of the presidency on anything, in my case on the economy, then if you’re a doctor what you’d do is run a big randomized trial. Half the time you’d randomly make it a republican president, half the time you’d randomly make it a democratic president, and you’d see how those two treatments did in terms of effects on the economy. The problem is, we’re not allowed to do that in the social sciences. I can’t randomly make someone president. DUBNER: Yet. Yet, you’re not allowed. WOLFERS: Yet. But if you remember the 2004 race, round about three o’clock election day, the exit polls got leaked. And the exit polls said that John Kerry had won in a landslide. Now round about seven o’clock at night they’d counted enough votes that it was quite clear that in fact Bush was going to win. But, what you have is four hours — now I’m a democrat so I’ll say four beautiful hours — in which we basically had a Kerry presidency and it was random. Because the only reason people thought John Kerry was president was because of a misinterpretation of the early exit polls. And so what we can do is we can look at how the financial markets performed during those four hours of the Kerry presidency and compare that to, either the four hours prior when it was clearly a Bush presidency, or the four hours after when we learned it was actually going to be the second George W. Bush presidency. So, when we do that we see in fact that stocks fell a little bit during the four hours of the Kerry presidency, and then they rose a little bit when it became the Bush presidency. So that tells us that the stock market preferred George Bush over John Kerry. Sounds like good news for Republicans. Now, let me give the Democrats’ response, which is: in fact it didn’t mover very much. It looks like the difference between having a Bush presidency and a Kerry presidency for the value of U.S. stocks is maybe one and a half or two percent, which is really a pretty small effect. DUBNER: How much can the president put his or her thumb on the scale of the economy and move things, especially in the fairly short term, i.e. a two or four year election cycle? WOLFERS: If I look at what a president does and how they spend their day, and then I try to translate each of their actions into an effect on the economy, it’s hard to see how they have much of an effect at all. Under this president, fiscal stimulus was a useful thing, probably saved — the unemployment rate might be a percentage point or even a little bit more lower as a result of what he did. But right now, for instance, I think a majority of economists, it’s not unanimous, but a majority would say that more fiscal stimulus is a good thing. And even if you were to convince the president of that, there’s no way on earth that he could make it happen. So, because the president has to work so closely with the legislative branch, I think that it’s an enormous discipline and it also prevents them from really having a big effect on the economy. DUBNER: So talk to me about that for a moment. When the president and the congressional majority are of the same party, how much does that influence the president’s power? Can we tell? WOLFERS: It’s a little bit too simplistic to look at the U.S. Congress and think of it in terms of parties. It turns out that right wing democrats and left wing republicans are awfully similar, and there’s not a lot of party unity in this country the way there is in other political systems, particularly parliamentary systems. And so, Obama can get anything passed for instance that the main senators, Olympia Snowe wants to see pass. And so I think calling it a majority one way or another is less helpful. It really is, who are the key pivotal players in the House and the Senate. DUBER: Have you ever lost a considerable sum betting on a political outcome? WOLFERS: Yeah, I sometimes bet with my heart. I’m the sort of fool who will bet the Red Sox are going to win, and when I lose tonight I’ll do it again tomorrow. And when I lose tomorrow I’ll do it again the next day. DUBER: Now, which politician has lost you the most money? WOLFERS: Not that I was betting on the U.S. election. DUBER: Of course not. Did you try to claw back any of your losings from him? WOLFERS: I decided to double down, because if I’d lost in the first hour I was sure he was just going to bounce back in the second hour. We economists have our behavioral failings too. DUBER: The sunk-cost fallacy lives and breathes within even an economist as esteemed as Justin Wolfers. WOLFERS: It’s terrifying isn’t it? I’ll bet you $100 you can’t name this pianist: He was from the state of Missouri, town of Independence. He loved the piano, sometimes thought about a career in music. Instead, he opened a haberdashery shop. Later, he became President of the United States. That’s right, Harry S. Truman. Truman had an eventful presidency — deciding to drop the atomic bomb on Hiroshima and Nagasaki, the end of World War II, a tough post-war economy at home, the founding of the United Nations, also, the Taft-Hartley labor law — which, it turns out, was passed despite the most powerful objection a President can wield: the veto. So how do you isolate the president’s power from the forces that shape history, society, the economy? Justin Wolfers, as clever as he is, admits it’s pretty much “impossible” to do so, because the president’s playing field is so vast. So let’s get small. Let’s try to measure power in realm where, as with the Presidency, there’s an authority figure with whom the buck stops. I’m talking about the baseball dugout. A baseball manager, on field and off, is the team’s boss. But he doesn’t throw a single pitch, can’t even argue too hard without getting tossed out of the game. Here’s Joe Maddon, manager of the Tampa Bay Rays, which won the American League East title this year with 96 victories, the second most in all of baseball. DUBNER: Tell me this, Joe. What does a manager actually do? Let’s put it this way, there are two groups of people, let’s say, people who follow baseball and people who don’t. For the people who don’t, they see a grown man, in a Little League uniform, sitting in the dugout, spitting out sunflower seeds. Saying what the heck is going on? JOE MADDON: I stopped doing the sunflower seed things, and I stopped chewing tobacco. But, what does a manager do? For me, here’s what I think: I think we intellectualize the day, that’s what I try to do. So I start playing the game in the morning and that’s just part of it. The other part of it is obviously dealing with the personalities, the conversations I may have to have during the course of that day. Whether it’s players, whether it’s front office, whether it’s dealing with the press, there’s so many different components to being a manager. DUBNER: How much do you think the manager actually matters when it comes to the team’s win-loss record? MADDON: Well, you know what, I think that it can kind of depend. Honestly, I think when you’re talking of a more veteran laden team, I think possibly the manager may have less of an impact. Because you’re really going to permit these guys to just go out there and play and stay out of the way as much as possible. And they don’t really need much guidance in game; they may need some prior to the game. And don’t be deceived there either, because there are a lot of veteran players that are always seeking advice or counsel with managers or coaches, et cetera. But in game, veterans pretty much like to be left on their own. I think the team that doesn’t have as much veteranship among it is going to require more of an impactful manager. DUBNER: But wouldn’t you like your stat guys upstairs, wouldn’t you like to just go to them and say, “Hey, hey guys, do your absolute best to feed into this computer everything you can to try and isolate how many games I won for us”? MADDON: How about how many games I’ve lost? I would be concerned about that too. DUBNER: If you were looking for a parallel job to describe it, what would that be? How does the job of baseball manager compare to, say, the President of the United States? In other words: you’re in charge, but you can’t necessarily affect the outcome as much as you’d like. MADDON: Right, I mean, there’s a lot of other people involved in this, and it’s kind of like you’re the overseer of what’s going on. I don’t know, you look at what the president does and obviously it’s a complex day. Or at least it looks that way from a distance. And ours is too, but it’s definitely more limited, I would think. We’re not dealing with the Middle East and Afghanistan, et cetera. We’re just dealing with Tampa versus the Yankees. Joe Maddon is a baseball practitioner; now here’s a theorist. J.C. Bradbury is known as the “baseball economist” — that’s the title of one of his books — and he’s a professor at Kennesaw State University in Georgia. Bradbury and some other baseball economists have crunched the numbers to try measuring how much impact a baseball manager has on the outcome of games. J.C. BRADBURY: What we found when we look at managers is that while some might be slightly better than the others, it’s not a big difference between one manager and the next in terms of decisions that they make. What I’ve tried to do is look at players who have played for many different managers and coaches and see how they perform differently under different managers. And many years ago, I did a study on pitching coach Leo Mazzone, looking at how his pitchers performed with him as his pitching coach and without. And I found that basically whenever he got a pitcher that pitcher pitched a lot better. And I found some similar effects for Bobby Cox, whom Leo Mazzone worked with. But, in terms of looking at overall managers, when I’ve looked at it, I have not found much differentiation at all between how well players perform with different managers. That is, as they move from team to team, they tend to perform about as well as they always have. And some managers do seem to have a little bit better performance than others, but it’s not statistically different from any other managers, so it’s hard to separate that from noise. DUBNER: Most managers, when it comes to on-the-field behavior are pretty much the same. So why do you even need that guy? BRADBURY: Well, I think the reason you finally have to have a guy in the dugout is because, if you’ve ever played intramural sports in college, you know that when there’s no coach, people aren’t on the same page, people disagree. So it’s just nice to have one person to say, “OK, this is what we’re going to do. This is the plan to move forward.” And so the manager has to be there even though he may not be doing anything that’s much different than what any other manager might do. DUBNER: So it’s like, you kind of need dad in the house. DUBNER: Sounds a little bit like what the president of the United States does. BRADBURY: Absolutely, and the president, if you think about the control that the president might have over the economy, for instance, just one area, the president is just a third of our government, and we have the legislative and executive branches, and if the two houses of Congress agree and the president agree, we can get policy. But it’s very complicated for them all to agree, and so it’s very hard for the president to even have an impact on the economy directly. And especially when much of what goes on in the economy is determined by market forces. So the president sort of serves as a focal point to say, “How are we doing? Are we doing good or are we doing bad?” And voters sometimes look to blame the president when things aren’t going well, even though there’s not much he or she could have done about it. Or they may try to reward him when things are going well, just happened to be riding good times. DUBNER: Every baseball manager who’s ever managed will tell you some version of the same thing which is that when your team loses, the manager gets blamed and when they win, the players get the credit. Do you see a parallel between that and the president of the United States as well? BRADBURY: I think absolutely. We’re often stronger with negative emotions. When things are going well, we like to attribute it to things that I did. “Oh, I’ve kept my job. I must be doing a good job at work.” But when I lose that job, it’s got to be someone else. So our self perception is certainly going to foster that notion of giving credit to ourselves but giving blame to people who are making other decisions. DUBNER: How vast do you believe the gap to be between the president’s actual influence on our daily lives and what American citizens think is that influence? BRADBURY: I think it’s an extremely wide gap. I think people think the president is almost like a benevolent despot, determining our fortunes. When in reality, I think the president is really just someone who is sitting in the co-pilot seat in a plane that’s already on auto-pilot. And certainly there are some things he can do and we always have pilots in planes, just like we need a president. And so the president serves in that role. DUBNER: So just one thing, let me go back to when you talked about the manager being the decider — you know, do we bunt or do we not bunt? Do we steal or do we not steal? Is the president really in that role as well? Is there so much going on in the White House and the federal government that sometimes that’s the role of the president — just to be the dad, the traffic cop? BRADBURY: Well, I think the president tries to be the dad, but the manager really is someone in charge who can actually do these things. He doesn’t have to go to both houses of Congress to get approval before he does what he does. But what he does serve as a cheerleader to say, “This is where the policy debate needs to be.” So that all the members of Congress can get together and say, “Here’s where we’re going to argue and here’s where we’re going to reach our decision.” So rather than say setting the line-up or saying exactly what we’re going to do, the president is about: let’s determine which problem we’re going to focus on. And because the media is so focused on him, it gives him that agenda setting power. DUBNER: So why do you think so many voters seem to ascribe so much power or influence or hopes and dreams or nightmares to the president? It seems as though he really can become the sponge to absorb every emotion from every voter. Why do we think that’s so, when it plainly isn’t so? BRADBURY: Well, we’ve got to vent, right? If things aren’t going well, let’s go ahead, I’m going to go out and vote for the president. I’m going to put a bumper sticker on my car. And as economists are well aware, the value of the vote really isn’t all that much anyway. So for expressive purposes, we often like voting and paying attention to politics. DUBNER: So maybe we should be grateful for all this complaining, because as you put it: it’s venting, which takes real emotion, potentially real anger. People have a means by which to express it. So instead of having to go beat up somebody or God forbid, assassinate somebody, you can just kind of shout and scream about how the president is an idiot and everything is alright. BRADBURY: Right. Voting and bumper stickers are much cheaper than therapists, so I definitely think that’s a good idea. So sometimes the President is the manager, making the decisions, and sometimes, he’s just the guy leading the cheers. As J.C. Bradbury and Justin Wolfers say, measuring what the President does is hard enough; but measuring leadership — well, that’s even harder. What makes a leader? A lot of people would say it’s converting hard presidential power into the power of persuasion. Lyndon Johnson, our 36th President, was a master of persuasion.This is a man who could even get his dog to sing. Or take John Ashcroft, who served as U.S. Attorney General for five years under George W. Bush. After 9/11, he helped shape the power of the presidency through law enforcement. He’s also a student of history. JOHN ASHCROFT: Well, the president is, by far and away, the most important person from a governance point of view, in the country. And most of the time through American history, he’s been the most important person from a leadership point of view. So that he sets not only a governmental agenda, but he sets a leadership tone. When we think of our earliest presidents and the great heroes that we have as presidents, most of them are remembered not so much for their governance as they are for their leadership. If you think about George Washington, few people can mention any of the laws that were passed under his time as president, but they know what he stood for and the kind of moral tone that he brought to America. And when you think about Abraham Lincoln, it was his devotion to the value and human dignity of individuals, kind of things that may not have been so much governance related — although they were eventually translated into governance — but the freedom of individuals who had been enslaved. So there are different categories of leadership and responsibility. Leadership, in a moral and cultural sense, may be even more important than what a person does in a governmental sense. A leader calls people to their highest and best. The process of governance is really a way of setting thresholds over which people must go in order to stay out of jail. No one ever achieves greatness merely by obeying the law. People who do much more higher and better and above what the law requires, they become really valuable to a culture, and a president can set a tone that inspires people to do that. Here’s someone who knows exactly what the law requires of a President. Bernadette Meyler is a professor at Cornell Law School, who specializes in the Constitution and executive power. DUBNER: So it’s a cliche, but the president of the United States is regularly called the most powerful person on Earth. So, what say you — yes, no, maybe so? BERNADETTE MEYLER: No. I think basically the president of the United States is not the most powerful person, that the president’s power is really just constrained in a lot of different ways. And the president can do some things, but is just not, by any stretch, the most powerful person. DUBNER: Let me ask you about the areas in which a president does have a lot of power. Can you, let’s say, name the top three, or the top five areas in which the president can act almost unilaterally, if not unilaterally? MEYLER: Yes, well I think there are five principal areas. One is as commander-in-chief of the army and navy. The president has significant power to order military actions, and even to convene military commissions during time of war, or to stop a war of his own accord. So, for example, stopping the war in Afghanistan is really president’s decision. A second area is not of unilateral power, but is a very significant power, and that’s the power to decide whom to appoint, especially with judicial nominations. Of course the Senate then has to confirm those nominees and the Senate has not been that forthcoming in confirming Obama’s judicial nominees. But the president does have the power to just select, in the first place, who is nominated. Then a third power that I think is often under reflected upon is the power not to enforce laws. So the president has the executive power, which means that he can execute the laws. But it also means that he can decide not to execute the laws. And this was very salient under Bush two, under George W., because he decided really not to enforce certain kinds of environmental laws, and that had significant consequences. And then a fourth power I think is the power to persuade congress. I’ve been saying that I think one of the really important things that the president can do is to persuade congress to take certain kinds of action. I think FDR was incredibly successful in doing that during the New Deal, and he was really able to get congress to act in certain ways and to help get out of the depression by doing that. And then a final area is really a power in relation to negotiating with foreign countries, a power over foreign affairs. So one example that comes to mind recently is basically when Obama sent Clinton to North Korea to get the journalists released. So that power to engage in negotiations with foreign countries and foreign leaders is a very significant presidential power. DUBNER: So, we’re here today to ask an incredibly simple question, which is: how much does the president of the United States really matter? Now given your constitutional law perspective, in particular, how do you answer that question? MEYLER: Well, I really believe that the president isn’t as significant as we imagine him or her to be. We think of the president as having great power to fix the economy, for example, or fix international conflicts, and to some extent the president has persuasive authority to do things like that. But the president really can’t just turn around and fix the economy within two years, for example. It really depends a lot more on Congress, because Congress has the power, under the spending clause, to decide how to raise revenue and also to allocate those funds. And most federal statutes actually are passed now using the spending power. That’s a really important power, and we think that president can do more with regard to that than he can. DUBNER: So is it a question of not fulfilling campaign promises out of intent? Or is it a question of having every intention of doing so, but once assuming office realizing that the power doesn’t exist? 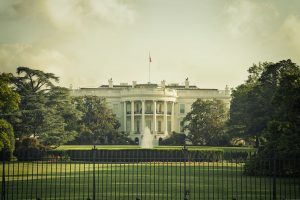 MEYLER: From all of the rhetoric around the presidency, I think that probably candidates do think they can just get in there and change everything all at once, and then pretty soon realize about all of the other things that are constraining their ability. I actually don’t think it’s a bad thing that they think initially that they can get in there and change everything, because that at least provides some motivation for trying to change things. DUBNER: So, when you think of the role of the president in relation to congress, in relation to the states, in relation to the public and so on, what’s the best metaphor for the president? Is he or she a puppet master pulling every string? Or is he or she more like the Wizard of Oz, this very mortal man behind the curtain? How do you see it? MEYLER: I would say actually the Wizard of Oz is a better analogy or would be of the two that you suggested. I do so it, in a way, as the Wizard of Oz, partly because I think so much of what is important about the president is an image. And I actually think that that makes the president — is why the president is so important in the foreign affairs context, because the president kind of is the figurehead for the U.S. abroad and the figure that galvanizes public support or public disapproval. DUBNER: So what happens if tomorrow, whether by miracle or by disaster depending on your point of view, we wake up and without a president, or a vice president, or a Speaker of the House, nobody to fill that throne, what happens to this republic of ours? MEYLER I think we would continue functioning in almost the same way. I don’t think that actually the day-to-day experience would change all that much. How we wound up without a president would probably dictate certain kinds of responses, or change public opinion, or change the ways in which people were responding. But I think that just not having a president, I’m not sure would really change the way things happen everyday all that much. So there you have it. If you believe the economists, the president has a lot less power than most people think, especially when it comes to the economy. If you listen to a politician like John Ashcroft, the president’s most important job is to “call people to their highest and best.” And if you listen to a Constitutional scholar, every president comes into office thinking he’s got the keys to the kingdom — only to discover that every door is double-locked with a deadbolt. But that’s how we wanted it in this country. We got rid of a king and built a democracy that works a lot like a market. And like any market, it’s a dynamic ecosystem. Lot of inputs, lot of outputs. Are some people much, much more powerful than others? Of course they are. And the President is a very powerful individual. But, he’s an individual. It’s easy to overvalue his influence. That’s not to say the job doesn’t have its moments. If you’re the president, and you happen to be on a diplomatic visit to Prague, the Czech president might invite you to a cool jazz club and give you a free saxophone, because he knows how much you love saxophones, and then you get to hop onstage with the band and play some Gershwin. That’s what Bill Clinton got to do, back in 1994. Wail to the chief. Freakonomics Radio is produced by WNYC Studios and Dubner Productions. Today’s episode was produced by Andrew Gartrell and Colin Campbell, and engineered by David Herman. The rest of our staff includes Arwa Gunja, Jay Cowit, Merritt Jacob, Christopher Werth, Greg Rosalsky, Alison Hockenberry, Jolenta Greenberg and Caroline English. If you want more Freakonomics Radio, you can also find us on Twitter and Facebook and don’t forget to subscribe to this podcast on iTunes or wherever else you get your free, weekly podcasts. “Partisan Impacts on the Economy: Evidence from Prediction Markets and Close Elections,” Erik Snowberg, Justin Wolfers, Eric Zitzewitz (2007). “The Mazzone Effect Revisited,” J.C. Bradbury, Baseball Analysts (March 17, 2005). « Previous PostDoes Religion Make You Happy? Next Post »How Safe Is Your Job?